This article concerns knowledge transfer within traditional crafts. Setting out from documented encounters with craftspeople, enterprises and craft communities, the objective is to reveal different notions of traditional craftsmanship and how ways of thinking about crafts affect knowledge transfer. The article focuses on a few general questions derived from surveys and interviews. What is the nature of craftsmanship? What constitutes a tradition? How can this knowledge be documented and passed on in a meaningful way? Particular interest is placed on relations between amateur communities and professional trades, between crafts and the academic knowledge system, and furthermore between crafts and heritage conservation. Mass production and mass consumption have greatly challenged traditional craftsmanship. Trade structures for crafts have been dissolved, and enterprises have been decimated. Still, in this dismal transformation, small craft-based enterprises constitute a large part of the economy. The diagnosis in the Swedish context, underpinned by research, is that craft-based enterprises lose family traditions, and that small or micro-companies resist investing in new apprentices, outside the altruistic structure of family bonds, due to the costs and risks involved in training. Small craft-based enterprises demand already trained and skilled craftspeople. However, such a workforce is difficult to find on the labour market as curriculums of formal vocational education focus mainly on the qualifications demanded by industry. Efforts by public authorities and trade organisations to enhance apprentice training do not sufficiently succeed in attracting the younger generation. Despite high youth unemployment, many of the offered apprenticeships go unfilled. The context of research is provided by the Swedish Craft Laboratory, which is a socially committed craft research centre at the University of Gothenburg. It was established in 2010 in cooperation with heritage organisations, craft enterprises and trade organisations to empower craftspeople in the complex processes of production. The general agenda of the Craft Laboratory is to bring research into practice and to involve craftspeople in processes of enquiry. In 2010 and 2011, the Craft Laboratory and National Property Board conducted a study into the state of traditional crafts. The study comprised a quantitative survey focused on the demand for competence and forms of education and training. Furthermore, 14 dialogue seminars were held in different parts of the country to discuss the state of the art, urgent needs and desires with craftengaged people. The results indicate extensive needs, but a clear and recurrent demand from craftspeople, enterprises and communities is action to support knowledge transfer in fields where craftsmanship has lost influence in design and planning. Traditional crafts involve attitudes and moral frameworks that have a negative impact on recruitment and obstruct development in sustaining crafts in contemporary society. All traditions are not completely good. Learning a traditional craft comes with a commitment, placing a responsibility on the master, the business and the culture. The relationship is intimate, enduring and asymmetrical, where the apprentice has to put trust in and submit to the master’s plan, as there are no formal documents to rely on. Many craft communities are weak and practitioners feel lonely in their efforts to maintain skills and develop their practice. There is no significant guild spirit; on the contrary, many craftspeople and companies demand networks and forums for sharing experiences with others. The main competition consists not of other craft companies but of alternative industrial products and methods. Many craftspeople experience a gap between the scope of their competence (what they possess the knowledge and skills to do) and the scope of their practice (what they are expected and commissioned to do). To bridge this gap, the craftspeople need to add interactive tools to their toolbox and craft new skills to interact and communicate. 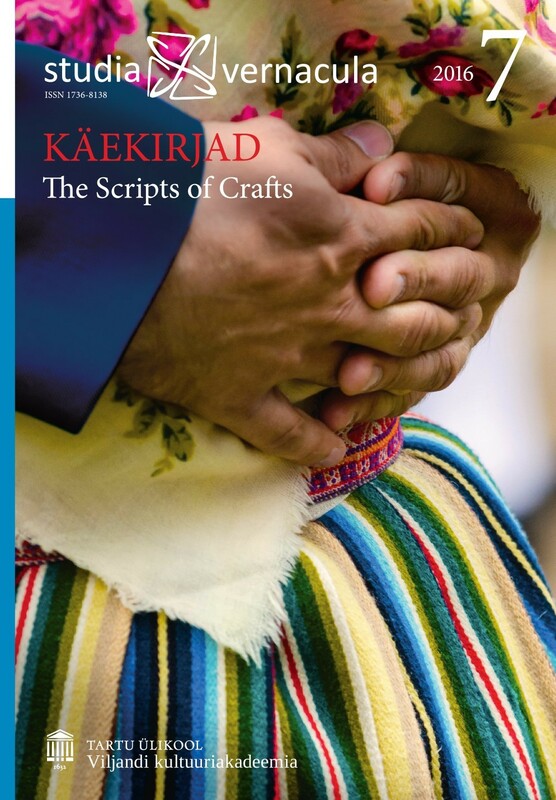 The conclusion is that craftspeople have to make their tradition transparent and to place on a communication level their ways of anchoring judgments and actions in the past. As traditional craft fields migrate to amateur communities, academies and the field of heritage conservation, craft practitioners have to become involved in the negotiation processes of why and for whom things are produced and preserved, and to consider the different values of traditional crafts for different groups of people. Adhocism, academisation and heritagisation may sustain traditional crafts in contemporary society.